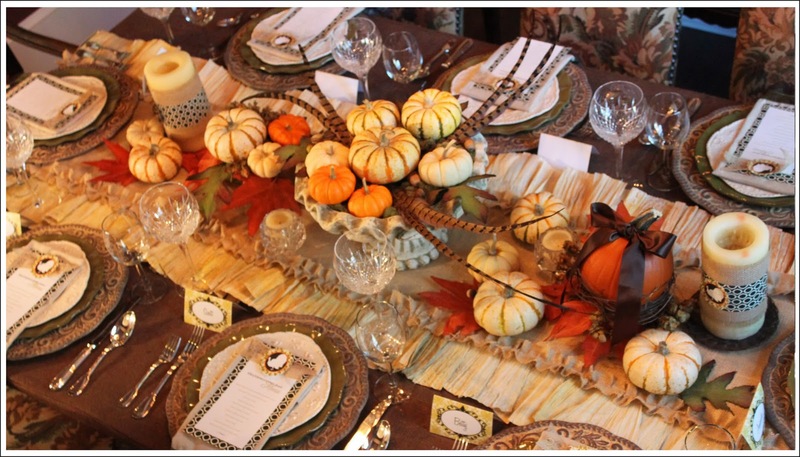 I see so many beautiful Thanksgiving tablescapes out there. Here's the thing, my family would never be able to do any of them. There's too many of us :) It use to be there were 18-20 of us easy around a table. Squished in elbow to elbow and no room on the table for anything but food. I LOVE it! Can't imagine a small, quiet Thanksgiving. Now that the kids are having kids our group is a little smaller, 10 or so. The parents are having their kids and grandkids over to their own houses. There's still no room on the table to do these great ideas, that's why it's a Woo Hoo!! Wednesday. 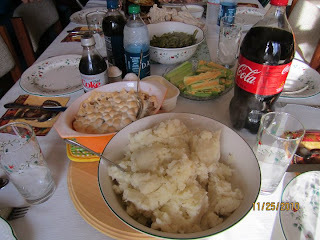 The next three pictures is our Thanksgiving table. 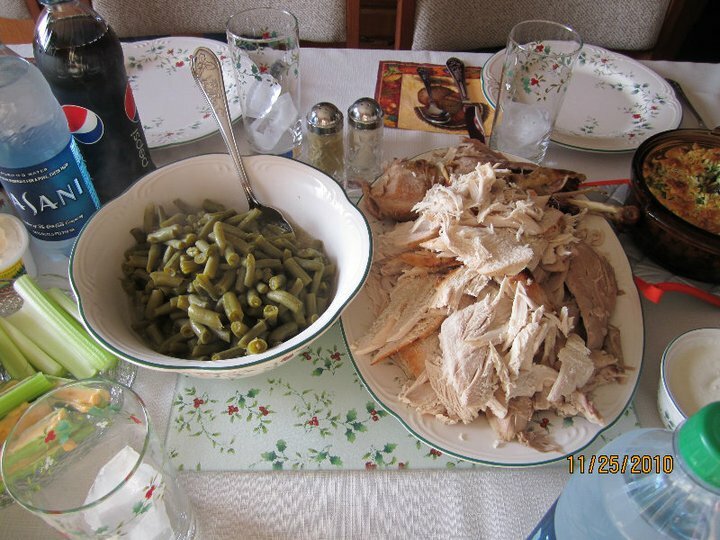 As you can see, no room for anything but food :) YUM! 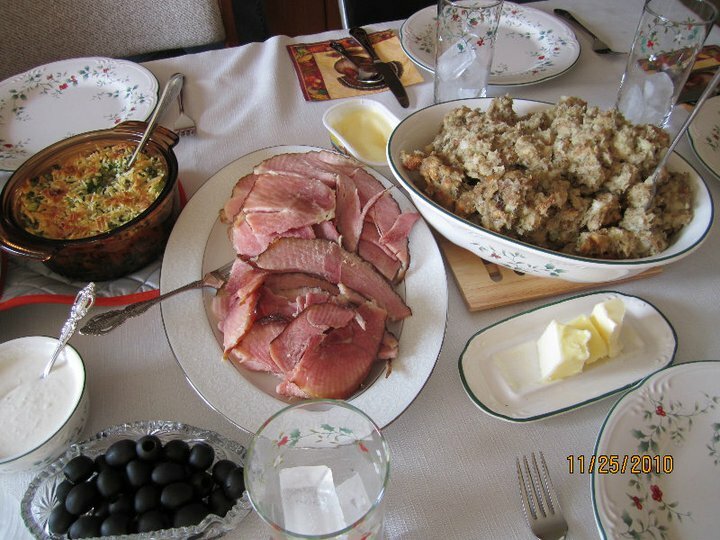 Does your Thanksgiving table have room for anything but food? I love the burlap tablecloth, of course! and our table always has room for wine ;o) hugs! Kim I thought you might like that burlap tablecloth ;) We do wine too but for some reason it always ends up on the table behind the one with all the food.